ACEC Kansas, KSPE and KDHE’s Bureau of Water are jointly sponsoring a continuing education seminar focusing on some of the water quality issues facing Kansas today. For each topic, KDHE staff will briefly explain the issue and potential ramifications for engineers and their clients. Following the explanatory information, an open discussion will seek to answer your questions and explore a range of potential solutions. 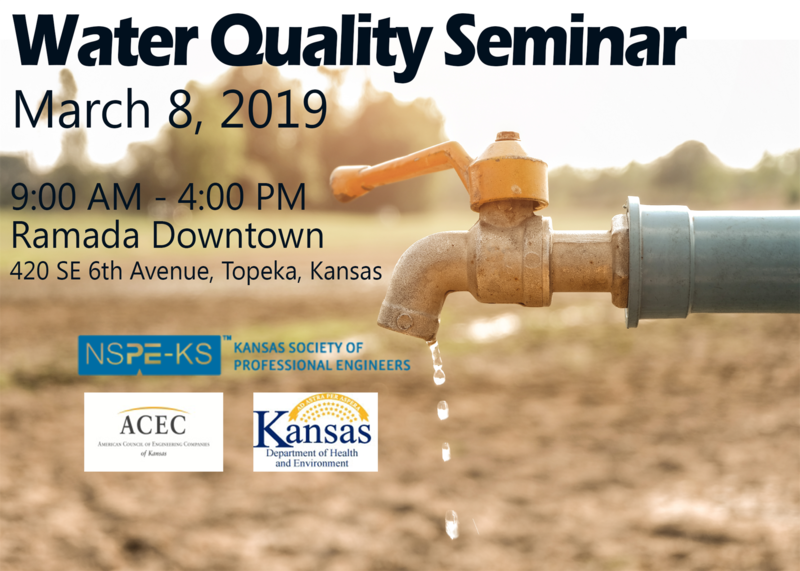 Don’t miss this valuable opportunity to learn more about the issues that are expected to drive the water quality industry in Kansas for the next several years. There are 5.5 hours of PDHs available for this seminar. Full agenda is now available by clicking here!